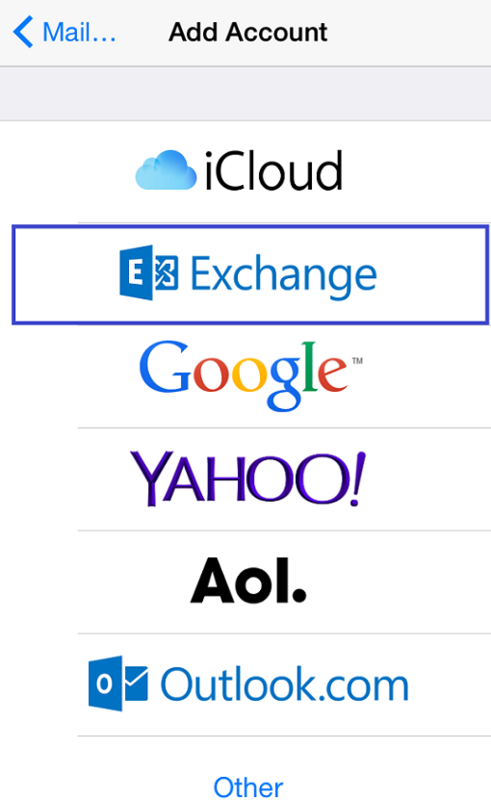 This document provides an overview for setting up an Office 365 account on an iOS device. Open Settings. 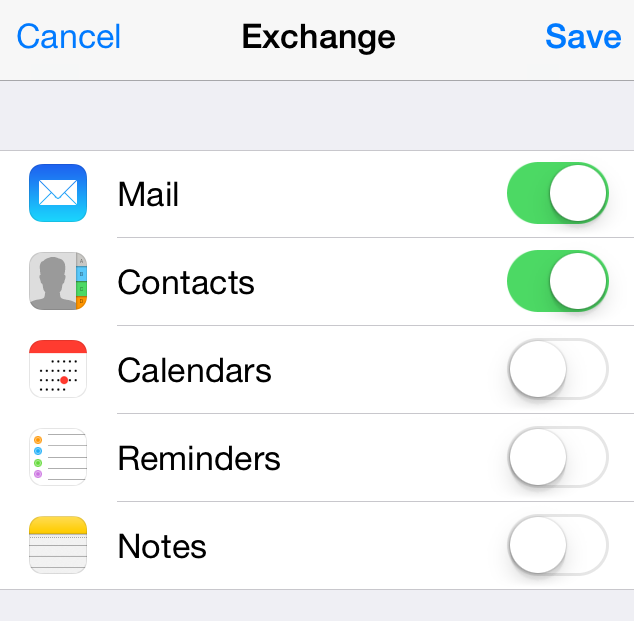 Select Mail, Contacts, Calendars, then select Add Account near the top of the right-hand column. Email: Enter your email address netid@siue.edu. Password: Enter the password for the account being configured. 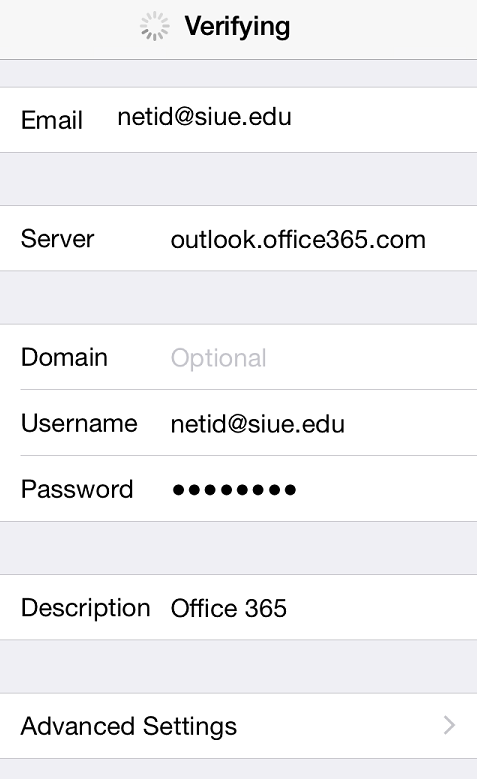 Description: Give the account any name you'd like, such as Office 365 or SIUE Email. You'll be directed to the enabled account applications page now. Choose what you'd like enabled. It is recommended that you enable all services. 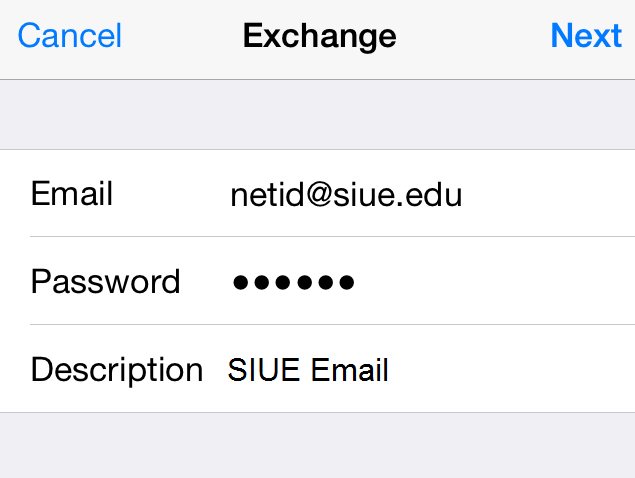 Username: Enter your email address netid@siue.edu. Password: Enter the password for your account being configured. Setup is complete. Email and calendar data (if enabled) are available in the appropriate apps.